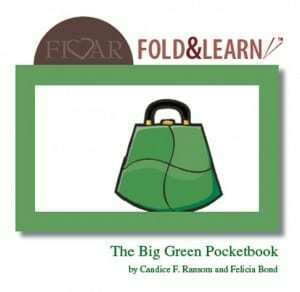 Dedicated to protecting and nurturing the early years of childhood, Before Five in a Row opens up the world of learning through great books and creative play, and builds a solid foundation for more formal education to come. 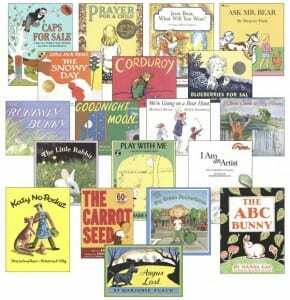 This important product has two sections: the first presenting 23 Five in a Row-style mini-units (plus an extra mini-unit) based on outstanding children’s books for ages 2-4+. The second presents an entire treasury of learning readiness activities intended to be used in your every day life: things to do in the kitchen, at the store, at bedtime, bath time and more. These units and ideas are wonderfully effective without robbing your little ones of those special golden years of childhood. The brief years of early childhood can never be reclaimed, and many parents discover too late that they pushed too hard and too early for advanced academic achievement. You can’t go back and swing at the park or float paper boats in the rain or chase fireflies. These play activities for your young children help build the foundation for early learning and encourage a flood of warm memories. These lessons are the important pre-education lessons that will both build your child’s mind and fill your child’s heart while truly readying them for the deeper academic experience to come. 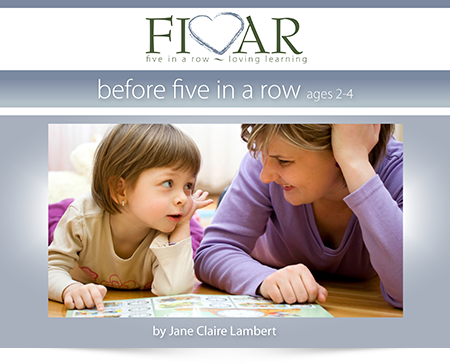 Before Five in a Row is the perfect introduction to the joys of parent-directed learning in just a very few moments each day! 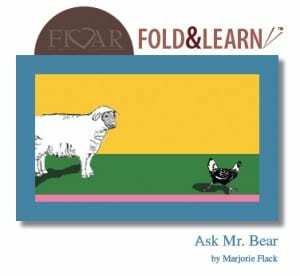 Available and FREE to blog subscribers, each Five in a Row FOLD&LEARN™ provides the tools and resources that you and your child need to take each unit’s Five in a Row lessons from your manual and combine them with creativity to find new and unexpected learning treasures. There is any combination of games to play, artwork to look at, puppets to tell stories and much more. 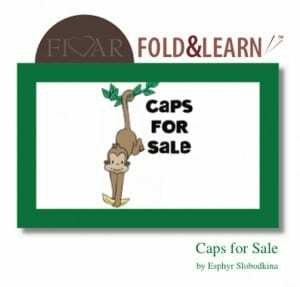 There are pages and pages of resources which your child can cut, fold, glue, paste, sort, stack, read, handle, talk about and share. Created in the style of a typical lapbook with content unique to each unit, but different in that how your child puts them together is completely up to him! There isn’t a right or wrong answer! Available and FREE to blog subscribers! *note: Jenny’s Surprise Summer is currently out of print. It was included as an extra title because it provides an excellent opportunity to present decision making at a very young level.